This IPC Eagle 20 inch battery powered floor burnisher comes with an enclosed dust control system with an optional cloth bag for easy disposal of recovered material. This high speed machine spins at 2000 RPM and is the pad assist version with adjustable down down pressure. For other sizes and options, including different battery configurations and traction drive models, please give our customer service department a call at 855-242-9027 for pricing and availability. This high speed burnisher is designed to offer optimum results with simplicity of use. Polishing a floor to a high shine has never been easier. 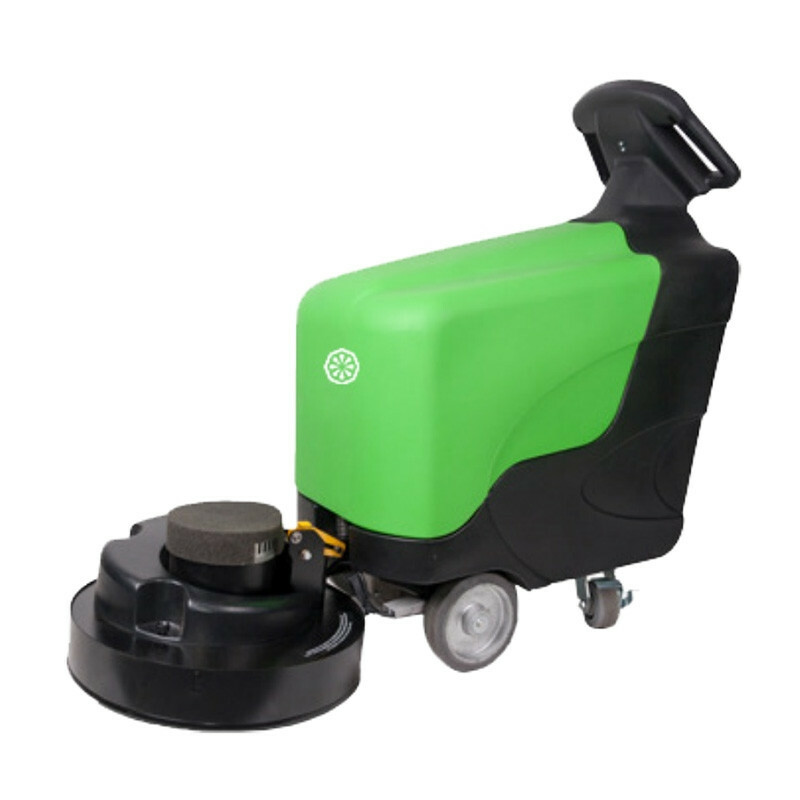 You'll need to decide which 20 inch high speed polishing pads are right for your needs, but any of the pads we offer can be used with this machine. Battery burnishers reduce the amount of noise made by the machine during operation, and they run clean, releasing no emissions into the air like the propane powered burnishers that we also have available. 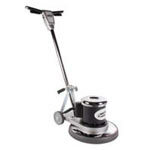 Comes standard with dust control to leave the area clean when you're done burnishing. If this machine is not exactly what you're looking for, please feel free to look at our full line of < ahref="/high-speed-floor-buffers/battery-powered-high-speed-burnishers.html">battery powered burnishers for more options. Dust control makes clean up after burnishing an area extremely easy. Fully adjustable pad pressure with meter for maximum efficiency on each individual job site. 360 degree floating pad maintains full-floor contact at all times. 36 volts total power from three 12V wet batteries (Gel batteries available, which can provide up to 3 hours of run time). Rotationally molded chassis and hood for extreme durability & longevity. Adjustable, easy-to-use handle and grips to accommodate users of all sizes.